BACK in February I reported that Edinburgh licensing board was consulting on an amendment to its overprovision policy that would almost create a formidable obstacle to new off-sales developments in the city – a move precipitated by a report from the local health board and a call for a ‘re-think’ of alcohol licensing from Alcohol Focus Scotland. Following complaints that the consultation exercise had not received sufficient publicity, the time limit for responses was extended and drew fire not just from the Wine and Spirit Trade Association (WSTA) but also from the Scottish Beer and Pub Association (SBPA). The WSTA challenged the focus on off-sales in the capital and the lack of empirical evidence to link alcohol-related harm in Edinburgh with the off-trade, while the SBPA vigorously disputed the supposed “correlation between the number of premises licences and the health effects”. But, as expected, the change was adopted. It remained the board’s position that “unless there are strong counter indications” an application for a new off-sales outlet – or an application to increase an off-sales display capacity – “will be viewed by the board as likely to be inconsistent with one or more of the licensing objectives”. There was, however, a refinement: “in appropriate circumstances” applicants would be expected to demonstrate a willingness “to initiate or participate in” a Community Alcohol Partnership” (CAP), which aim to tackle ‘underage’ alcohol consumption through partnership working involving retailers, trading standards, local authority licensing teams, schools and health networks. Well-established south of the border, with around 35 currently in operation, CAPs have so far failed to take hold in Scotland. The only scheme, in Rosyth, is currently being evaluated. From the terms of the amended policy, it’s simply impossible to work out the circumstances in which a willingness to engage in a CAP would make the difference between the grant or refusal of an application. It’s more than likely we’ll have a court ruling before the year is out. It also remains to be seen whether the newly-elected licensing board, minus a number of the former members, will consider itself wedded to its predecessor’s approach. But it’s more than likely that we’ll have a court ruling on Edinburgh’s ‘health’ approach before the year is out. At the board’s meeting in April, a bid to allow alcohol sales at a new Sainsbury’s Local convenience store in the city’s South Bridge – opposed by NHS Lothian and Borders – was rejected not only on the ground of overprovision, but also the protecting and improving public health licensing objective. This is not the first application to be refused on health grounds. West Dunbartonshire licensing board’s health-linked overprovision policy effectively puts an impediment in the path of all new pub, nightclub and off-sales developments, with exceptions carved out only for hotels (where the bar offer is ancillary to the provision of accommodation) and bona fide restaurants. 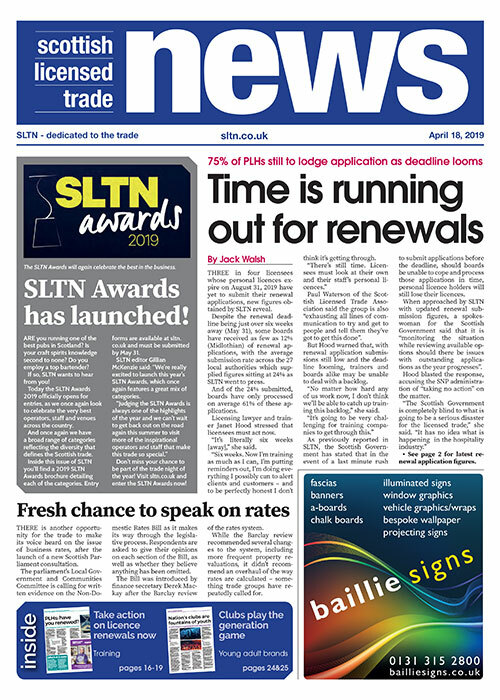 According to a West Dunbartonshire Council press release, since the policy’s introduction in November 2010 there has been a “dramatic” fall in the number of new licence applications, with solicitors “generally advising businesses that these would not be approved”. Although Glasgow licensing board has no formal health-driven policy, since June 2011 it has turned down over a dozen bids by supermarkets and convenience stores to extend licensed areas. 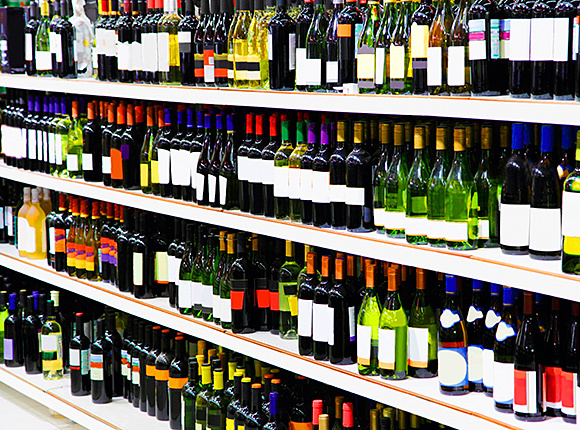 In February, the board refused an application by Marks & Spencer to add another 2.1 square metres of wine displays at its Simply Food outlet in Bothwell Street, citing the prejudice to public health that would be caused by making alcohol more available. Neither the West Dunbartonshire policy nor the Glasgow stance on off-sales has led to any court challenges. But Sainsbury’s has, I understand, launched an appeal to the Sheriff Court against the block on their Edinburgh South Bridge development. I’m not privy to the details of their arguments, but I reckon it’s a safe bet the soundness of the board’s amended policy statement will come under close scrutiny. Image: Edinburgh licensing board has effectively put a cap on off-sales in the city.